Children of this age group love to play in the snow! 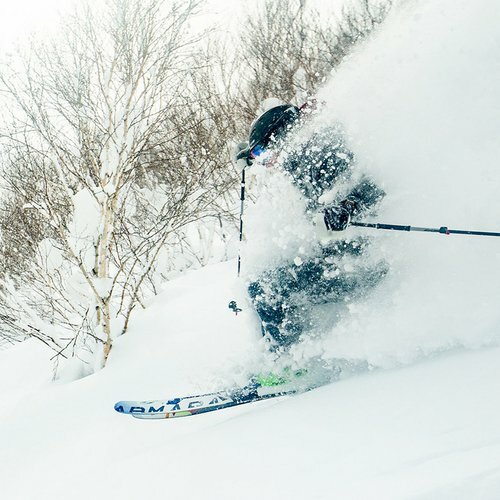 This is the perfect age to start learning to ski. 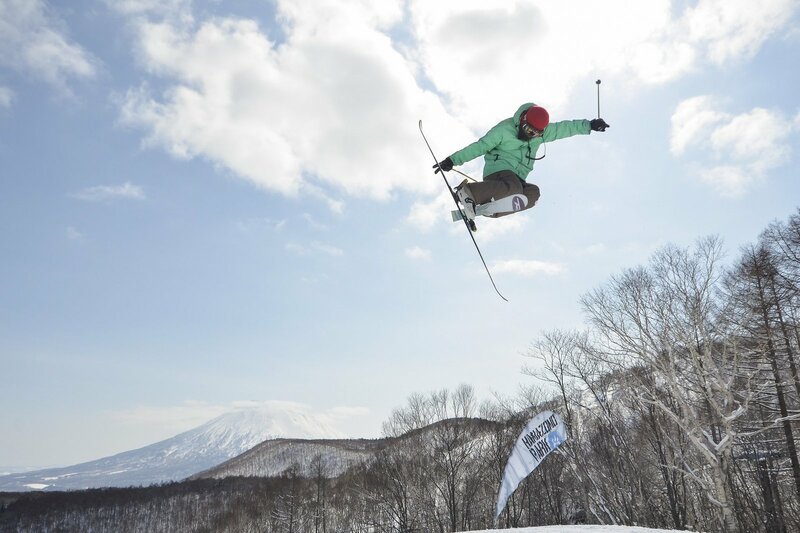 Slide down our safe and dedicated tube park, and get a lift back to the top on a magic carpet. Great for kids and for those who want to act like one. 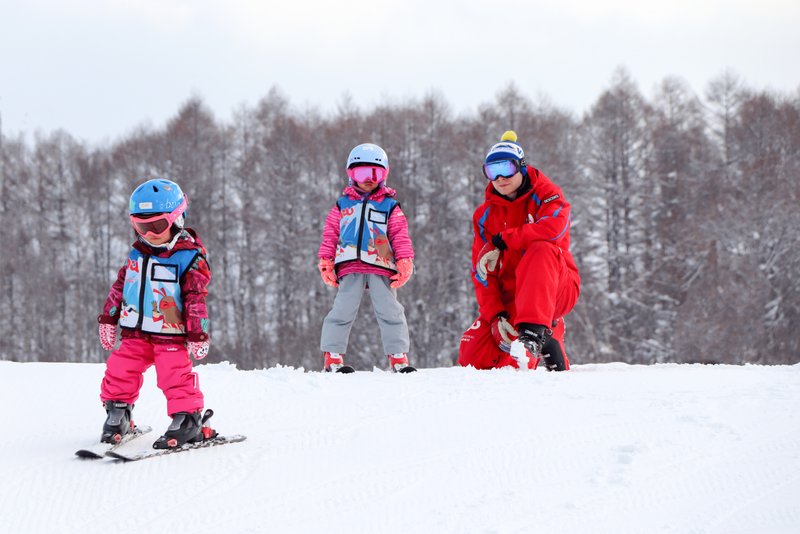 With most of the ski schools in the area, children's first ski lesson starts from 3 years old. 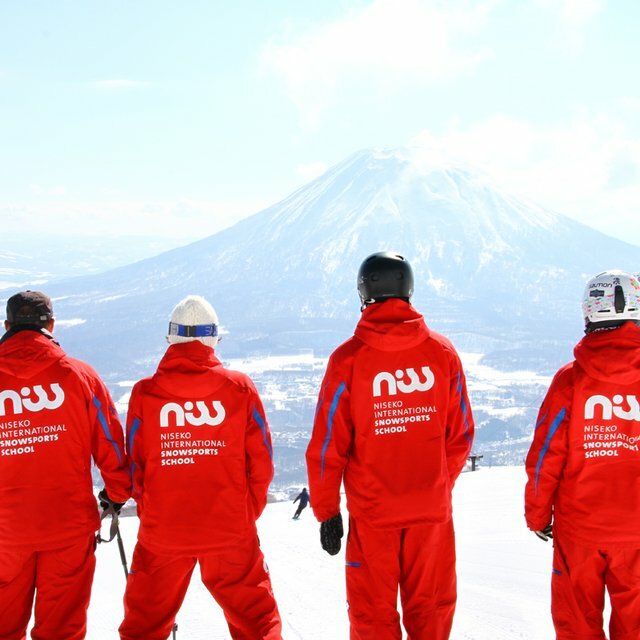 Niseko International Snowsports School (NISS) has programs structured and timed to provide care and support during the different learning stages in each child's development with world-class child-friendly facilities in Hanazono Resort. For children aged 6 years or older. Children can drive this kids-sized snowmobile themselves in a safe dedicated race track. 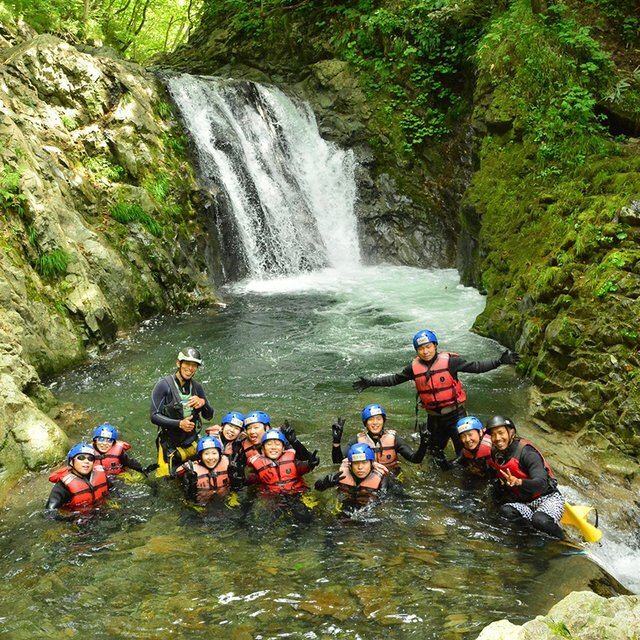 Very popular non-ski activity. Related Post: "Drive It Yourself! Kids Snowmobile Sneak Peek"
The learning curve is very fast in this age group! In addition to Age 3 - 6 activities, children are ready to try these exciting new programs. 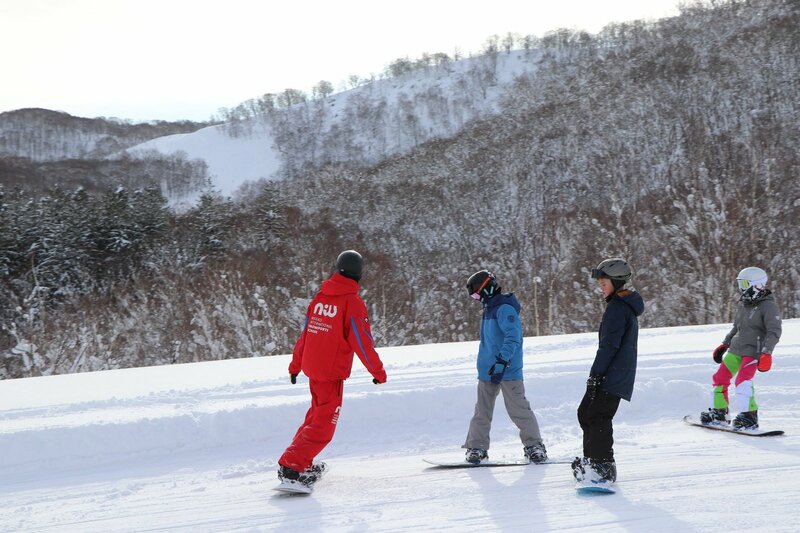 NISS Yuki snowboard lesson start from 7 years old. NISS Yuki children can switch between ski and snowboard lessons at no extra cost during a multi-day lesson package. Develop park skills, challenge the instructor on racing and gate training, explore off-piste, and learn snow safety and rescue skills through beacon and probe practice. A specialized program for our advanced kids riders, looking to further develop their mountain skills. 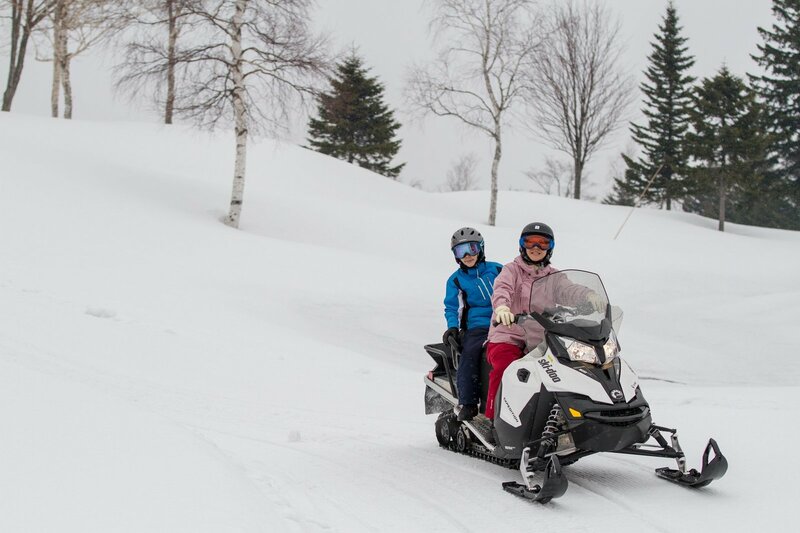 In addition to driving kids snowmobile, children aged 7 years and over are welcome to join the adult snowmobile tours if they ride tandem with an adult. Go to explore the real wildlife, forest trails and backcountry bowls filled with deep powder snow. 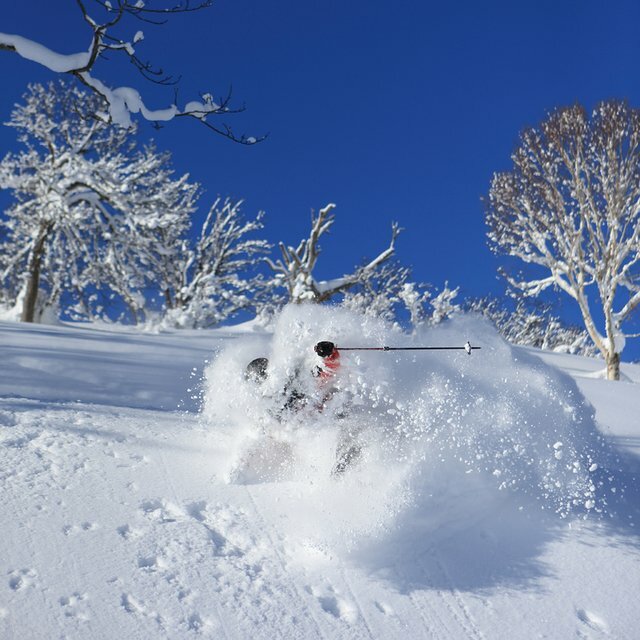 Explore the peaceful and beautiful Hanazono forest by snowshoes. 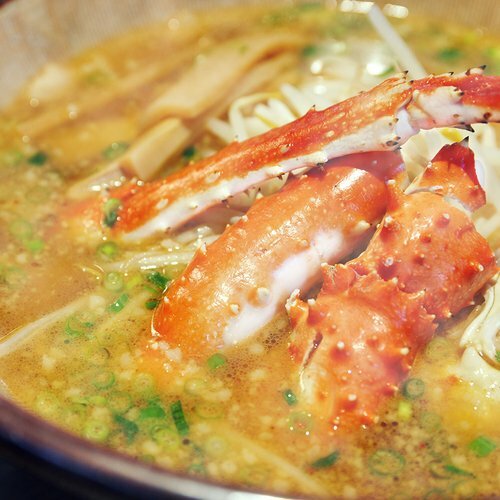 This is a one hour guided tour. 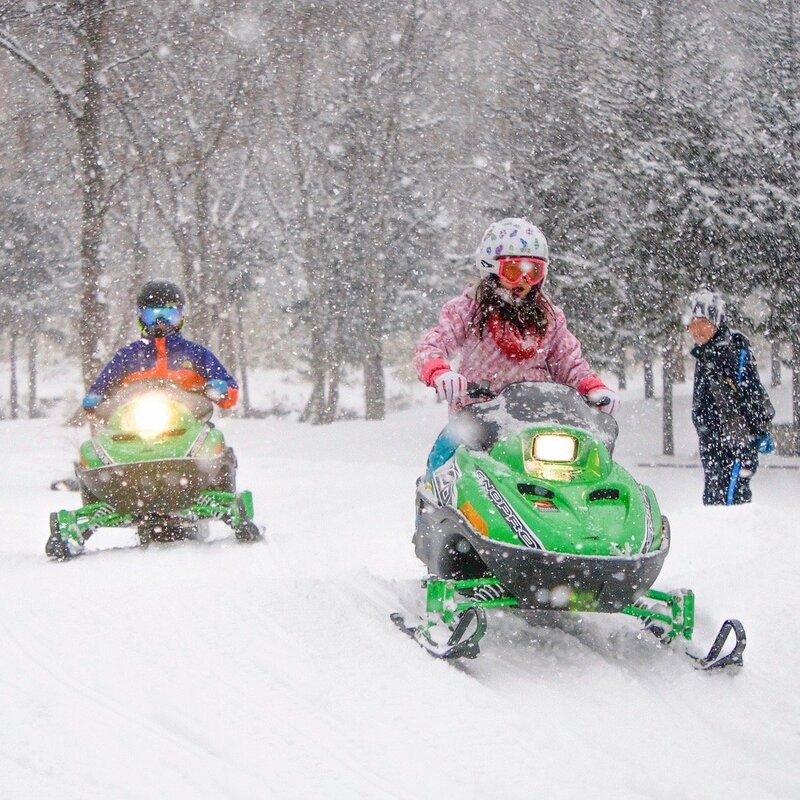 When you are 13 years or older, it's time to grow out of kids snowmobiles. 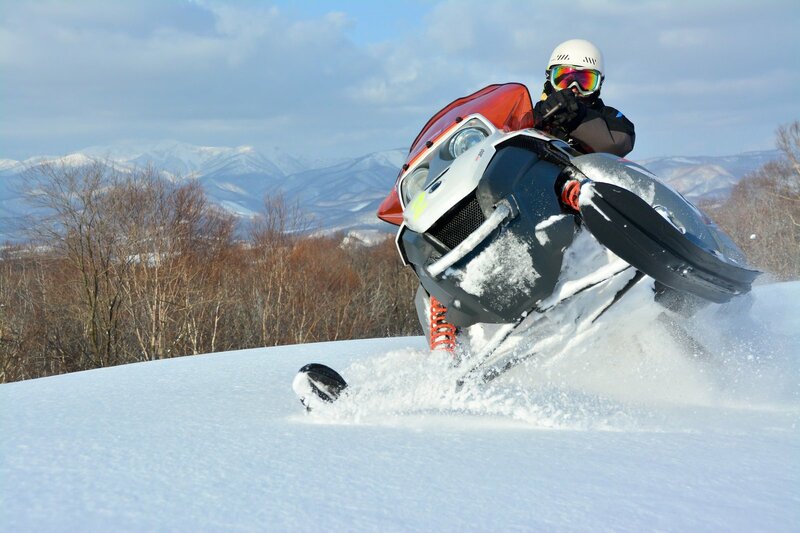 Ride on a much more powerful adult snowmobile alone and drive through the woods surrounded by picturesque mountains. At this age, time that the children can stay outdoors in cold weather is limited. 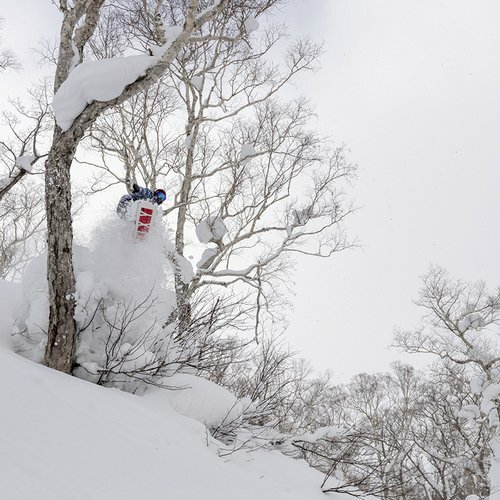 Even among local Niseko kids who are born here, it's not an exception to find toddlers not interested in playing on snow until their third birthday. 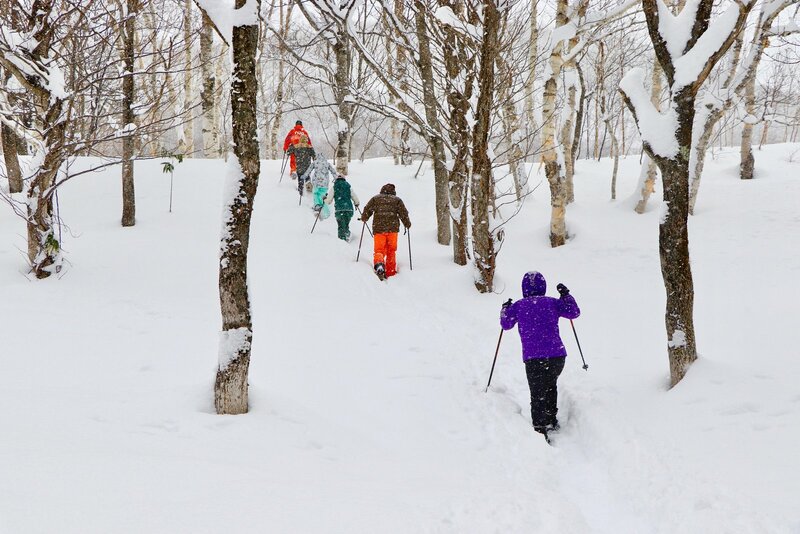 Therefore choosing a good balance between outdoor and indoor activities is key for a successful Niseko winter trip with babies and toddlers. 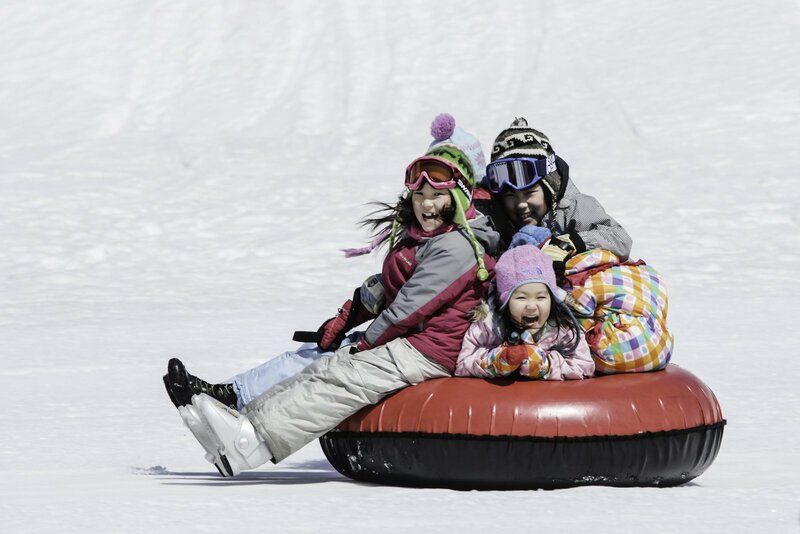 If the purpose of the trip is to have a lot of fun in the snow with your child, it may be good to wait until your child is 3 years old. 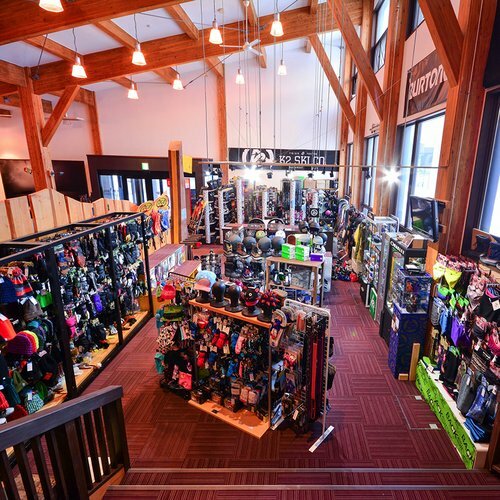 A popular indoor playground both on sunny and stormy days. Parents can enjoy a sip of coffee in the cafe area right next to the playground while watching the children play. Adults and older children can try wall climbing in the same building.